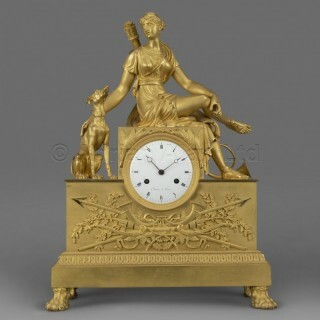 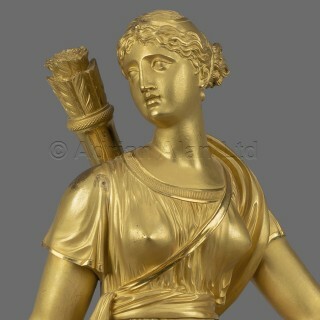 A Fine Empire Period Gilt-Bronze Clock Depicting Diana The Huntress. 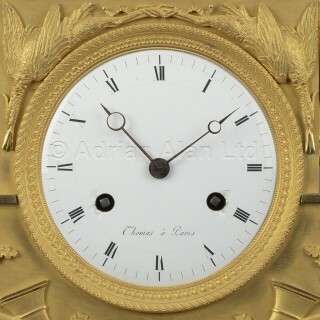 The dial signed ‘Thomas a Paris’. 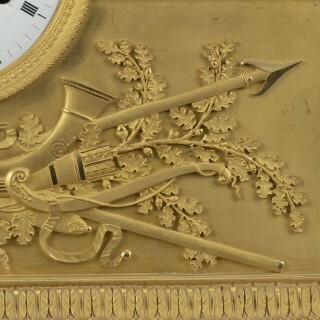 The white enamel dial with Roman numerals and Breguet hands, the case surmounted by a figure of Diana, with her dog at her side and quiver over her shoulder. 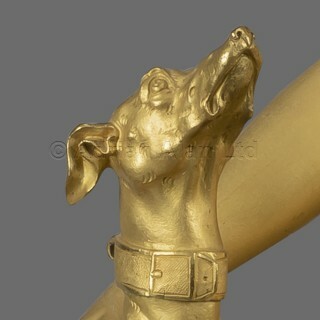 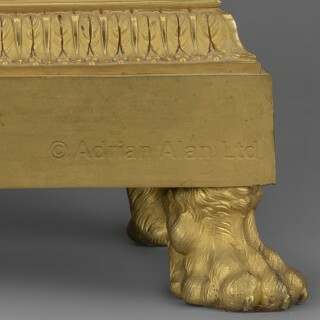 The base is adorned on three sides with hunting attributes, above a palmette frieze and raised on four lions paw feet.